A White House official says Health and Human Services Secretary Kathleen Sebelius is resigning from the Obama administration. The move comes just a week after the close of the rocky enrollment period for President Barack Obama’s health care law. Website failures marred the opening weeks of the six-month enrollment period, but the administration rebounded strongly by enrolling more than 7 million people in health insurance plans. Sebelius’ resignation could set the stage for a contentious election-year confirmation hearing for whomever Obama nominates to replace her. 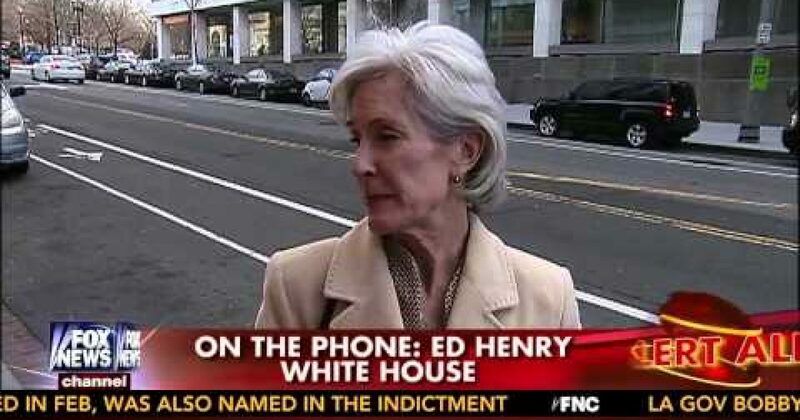 Sebelius has served as HHS secretary since the start of the Obama administration. The official was not authorized to discuss Sebelius’ resignation ahead of the formal announcement and requested anonymity. Sebelius oversaw the disastrous Obamacare rollout. According to Ed Henry the White House will name Sylvia Mary Mathews Burwell the Director of the White House Office of Management and Budget as Sebelius’ replacement. Those confirmation hearings are going to be very interesting, not because of Ms Burwell but the hearings will be a public bashing of Obamacare.